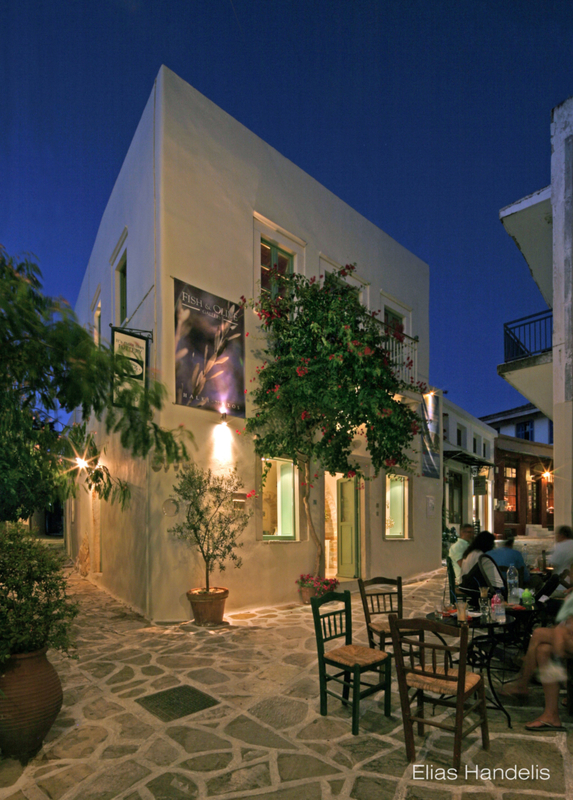 The elegant Naxos gallery of Fish & Olive Creations was opened in 2006 by Mrs Niki Goulandris. Here, the hand-made ceramics and jewellery of Katharina Bolesch and Alexander Reichardt are displayed to their greatest effect. 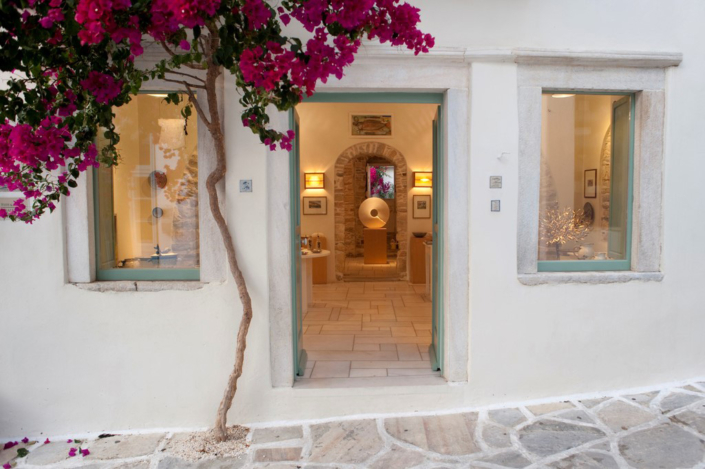 As well as the exclusive work of these accomplished artists, the gallery also presents paintings, etchings gouaches andaquarelles by national and international artists as well as lithographs by Fish & Olive Creations, lamps and sculptures in Naxian marble and unique olive tree sculptures in metal. Fish & Olive enjoyed major exposure in 2017 at one of the world’s great aquarium and exhibition centres, The Deep, in the UK city of Hull. Hull was the UK City of Culture in 2017. Alexander was selected as one of six artists each of whose work was exhibited for a two-month period throughout the year in a celebration of the world’s oceans and marine environment. Hull’s year as the UK City of Culture culminated with The Deep’s exhibition. 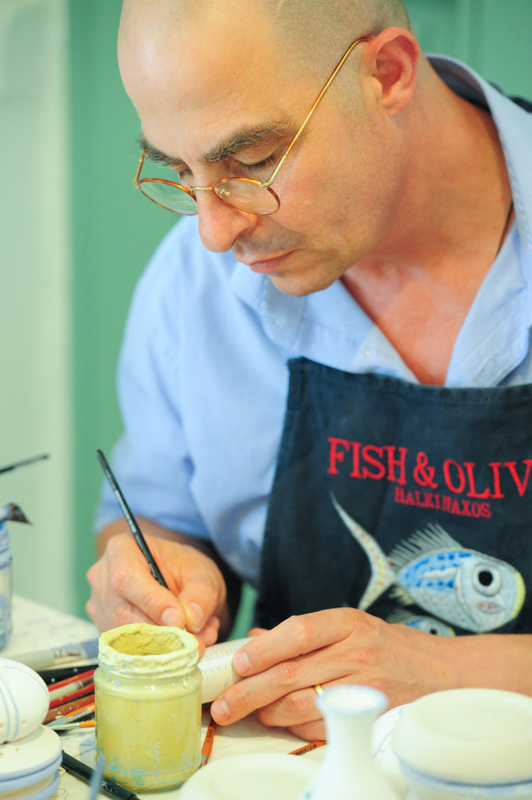 The works of Fish & Olive were exhibited, in January 2013, at the National Art Center in Tokyo, representing Greece. In 2007, a major exhibition of Katharina’s work was staged at the Design Museum (iittala Group, Arabia Museum) in Helsinki. 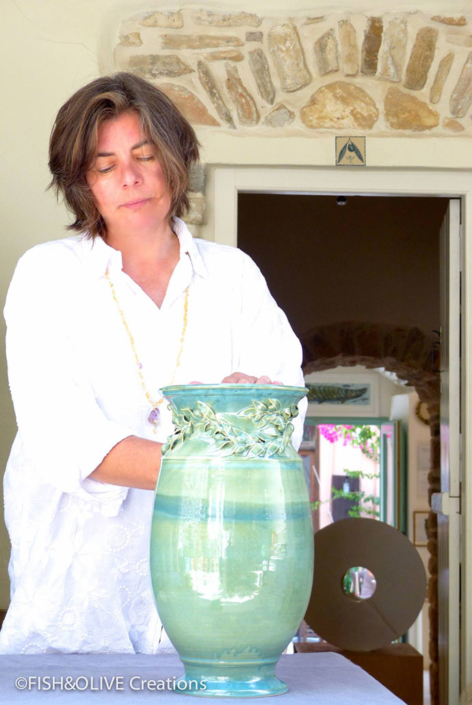 Katharina’s ceramics were displayed at the Academy of Athens during the 2004 Olympic Games and have been featured at the United Nations in New York.